A seemingly innocuous court of appeals case this morning, which is not recommended for publication, but may be cited for its persuasive value under Wis. Stats. 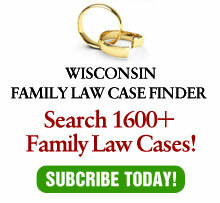 809.23(3)(b), has an important message for Wisconsin lawyers. a. The stipulation does not cover all possible angles of disputes which may occur in the future. b. One of the attorneys makes explanatory comments which may cover some of those angles. The message is: Be careful of what you may say and listen carefully to what the other side says — and speak up if the other sides misstates the agreement.